Beautifully extracted using a traditional method that promises the highest quality oil which retains the distinct scent and taste of coconut. For centuries, Asian women have used Cold press Virgin Coconut oil in their skin care regime. Now, Tanamera brings you the secret of the tropics right to your home! Cold press Virgin coconut oil is one of nature ’s greatest miracles. It will aid in healing and repairing the skin and also an amazing natural moisturizer. It has a lasting benefit and can help bring back a youthful appearance. Virgin coconut oil will help in removing the outer layer of dead skin cells, making the skin smoother while fatty acids in Virgin Coconut oil will help prevent fungal and bacterial infections. Using Virgin Coconut oil after bathing will quickly help reestablish the skin's natural microbial and acid barrier. It's the perfect choice for relieving dry, rough and wrinkled skin. Regular application of TANAMERA Cold press Virgin Coconut oil will aid in healing and repairing the skin, bringing back a smoother and youthful appearance. 1. Face: Wash face, apply a few drops of TANAMERA Cold Press Virgin Coconut Oil in your palm and massage onto skin with upward movement. 2. 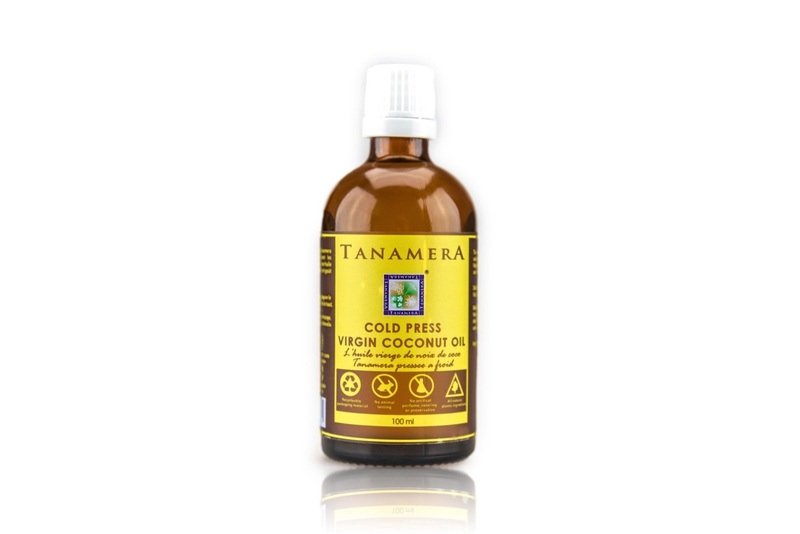 Body: Apply TANAMERA Cold Press Virgin Coconut Oil on damp skin after bathing. Best used daily. 3. Hair: Shampoo the hair and rinse. Apply a few drops of TANAMERA Cold Press Virgin Oil onto your palm and massage into hair and scalp then leave on for a while. Rinse and apply TANAMERA Hair and Scalp Revitalizer. For weekly care, mildly warm the oil (as hot oil) and massage in your scalp and comb your hair afterward. Wrap your head in a hot towel and let it cools. Cover your hair with a dry hair towel afterward and let the oil stay in your hair for at least 4 hours or overnight.